While it may be hard to find some of Eva and Milan Lapka’s work outside of Quebec, it is doubly hard to come across images of their shared pottery. Over her long career Eva Lapka has become known and respected as a sculptor but it is pottery where she and Milan started out. 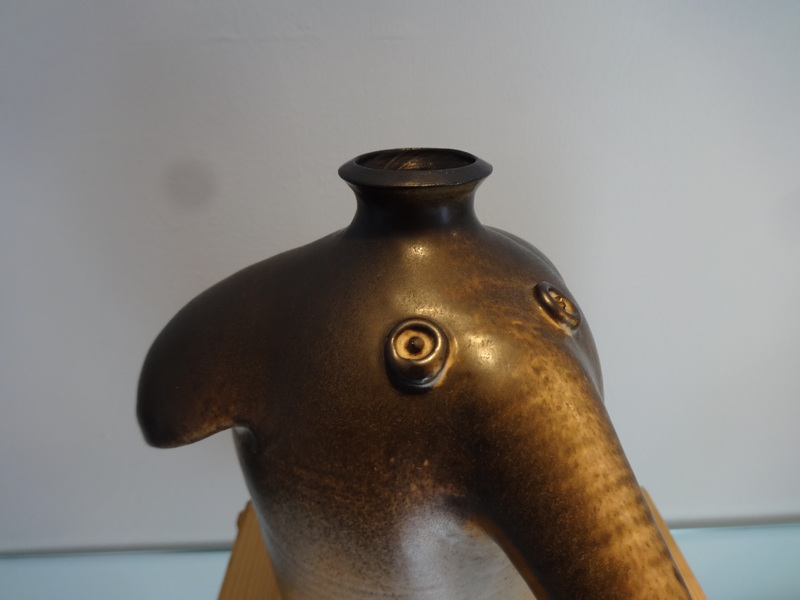 This is my find of the week — a beautifully constructed elephant form vase. Not a pitcher, though you would think the various elements might make it work as some sort of pouring vessel, but it is a sculpture of sorts or perhaps a pot of sorts. Not quite leaving wheel throwing for assemblage nor glazing for patina but somewhere along that line towards independence from traditional potting. 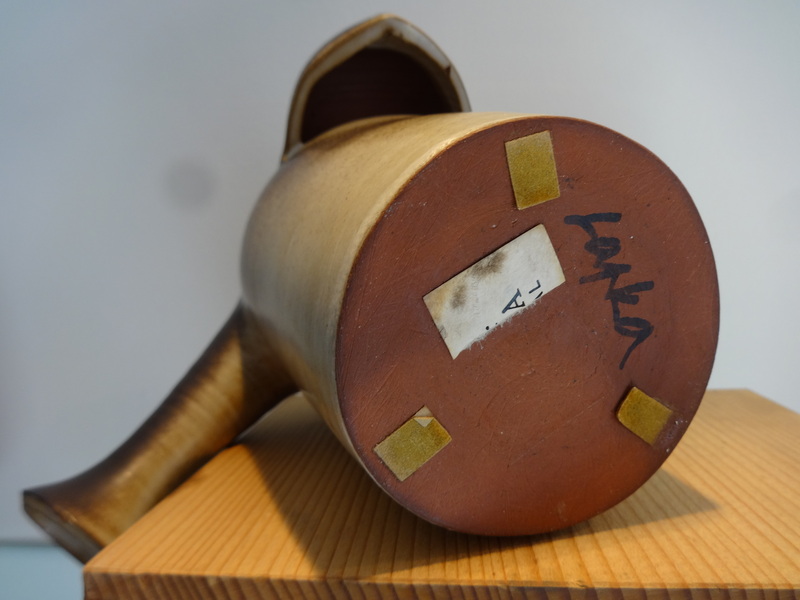 The piece is probably from the mid 1970s during the early part of their career having arrived in Montreal from Czechoslovakia in 1968 after the Prague Spring. Milan was apparently responsible for forms and Eva for glazing. For images of their pottery you are going to have look into Quebec primary sources. There is very little on the web and little apparently in public collections. An excellent source book for Quebec studio work is Regard sur la Ceramique Quebecoise, ed. 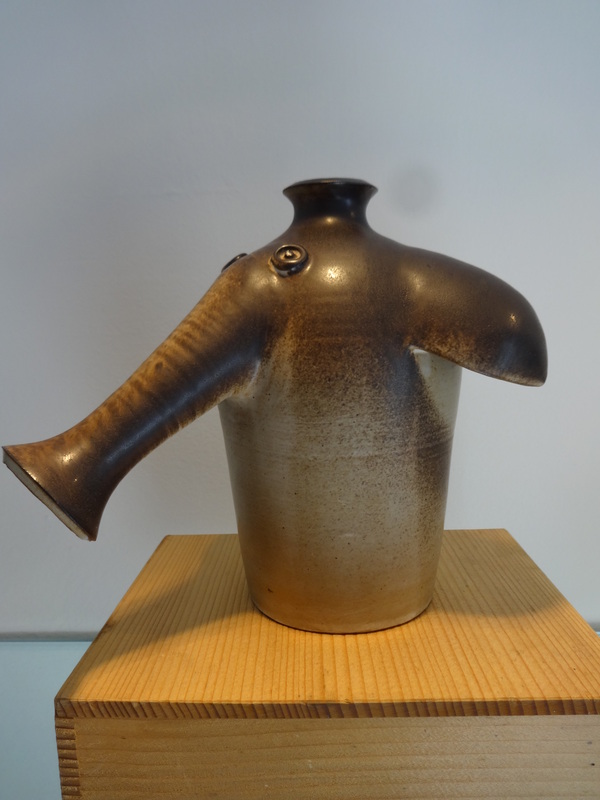 Jacques Blais and others, 2014 put out by Association des collectionneurs de ceramique du Quebec. Thank you for the kind comments. The Sadowska-Sadowski you mention were also a post-war immigrant couple (Konrad and Krystyna). In their case to Nova Scotia and Ontario. To some extent their pottery was also overshadowed by Krystyna’s subsequent career as a revered sculptor. Good eye and good find on your part!